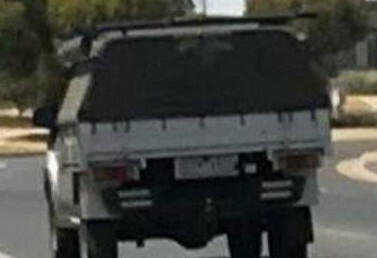 WANTED: An image of the road rage suspect's ute. A man has assaulted a couple in their 60s after following them home in a road-rage incident at Ocean Grove, according to police. The suspect was aged in his 50s but his male victim was 69 and the female 60, police said in a post on social media this week. Investigators released an image of the suspect’s vehicle on Tuesday with an appeal for public help to catch him. The incident began on the Bellarine Hwy around 1pm on 31 January, police said. The offender became “involved in a road rage” incident with the pair before following them home to their Ocean Grove address and launching the alleged assault. Police described the man as about 180cm tall, slim, with short salt-and-pepper-coloured hair and olive skin. He was wearing a dark grey or black T-shirt, shorts and thongs. Police said he was driving a bronze-coloured tray ute but the registration was obscured in the image of the vehicle posted on social media. Anyone with information about the incident, the registration number of the ute or its driver should phone Crime Stoppers on 1800 333 000, police said. 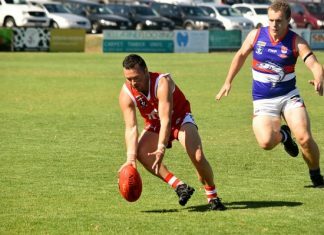 The Ocean Grove assault followed a road rage incident at Anglesea where a visitor in his 20s was punched in the face several times. Police said the offender also threatened the alleged victim, telling him: “I’m gonna kill you”. The victim suffered a split lip and bruising. Police described the suspect as a man aged in his 40s. The alleged assault, in Anglesea’s shopping centre car park, prompted police to appeal for calm as local motorists encountered tourists and visitors unfamiliar with the area’s roads.